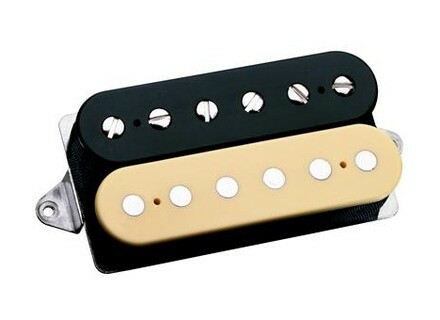 DP103 PAF 36th Anniversary, Humbucker guitar pickup from DiMarzio in the Vintage Output series. mike.corrieri.3's review"Nails the PAF tone in my historic gibson"
After listening to the accoustic clips of Larry Dimarzio's actual /59 les paul, I was astonished how closely it sounded to my Gibson Historic & Custom Shop 1958 Chambered Reissue Les Paul. Perhaps it's the chambering - I've heard that mentioned before how some of these sound more like a real burst than the solid ones, oddly enough. 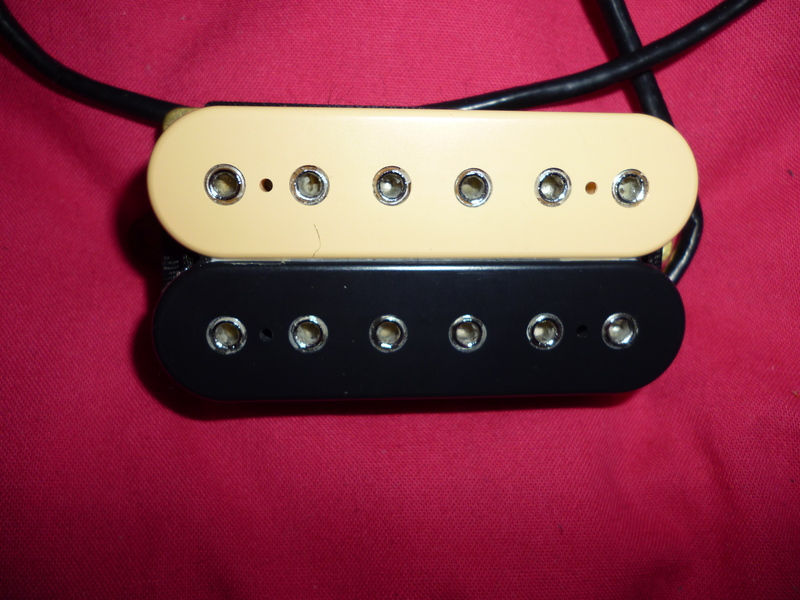 So anyway, I called Dimarzio, and ordered a set with "vintage aged" nickel silver covers, and put them in my guitar. I actually had some small difficulty as the covers were square cornered, but I called dimarzio and got some help. The result was pretty dang amazing, all I can say folks is you owe it to yourself to try them for yourself. They sounded more legit in this guitar than the original burstbuckers, wolftones, marshallheads, and throbaks. I didn't compare them to my set of True 60's ($450 pickups wound by Fralin for RS Guitarworks), but I did not want to yank those out of my other lester. However, I will say this guitar does sound better. The burstbuckers have that scrambled eggs sound (don't know what else to call it, that mid scramble sound)... these don't. Wolfs and Marshalls... TOO HAIRY. Great sounding pickups, but real PAFs don't have hair, at least not the good ones. Throbaks - they are exceptional, but they lack some of the woody-warmth on the neck pickup of the real ones I have played. The bridge was as good or better, but didn't pair well balance wise with the dimarzio neck, the output was louder. I do find an odd artifact in the lower mids on the throbaks, it sounds good, but I hear it every time I do low bends getting a vowel sound on my rig. Nothing bad though.. to be honest I like it, they deserve the reputation of more PAF than PAF. The Dimarzios. Oh yes, oh yes. How do they make these so cheap? Turned down they clean up wonderfully, without losing that balanced tone or getting muddy, but cranked up through a cranked plexi, they sing, with the trade mark midrange tone, wonderful harmonic overtones. Not as open sounding as the wolfs or marshalls, but no hair... - the originals have a slight compression when pushed, and these nail it. The neck pickup deserves praise above and beyond the set itself - probably the best PAF neck pickup made since 1960, it just spills over in woodiness, the bass does not become muddy or overwhelming, just a perfect balance. The value for price is ridiculous - making these pickups a no-brainer. When I first heard that dimarzio was going to compete with boutique pickup makers I laughed. I guess the value of the many years of experience of this company cannot be understated. What is impressive is they did not follow the sheeple, and replicate all the additional inflated-aspects of the PAF that have become the bread and butter of most boutique winders, they did a tone reset right back to '59, with the benefit of having real unmodified 59s in an exceptional example burst, to compare to. Bottom line: If you want the tone, here it is. RiceEatin2010GT's review"It has that real old PAF sound"
DiMarzio has been recently delivering some super high quality pickups at great prices. Ever since the boutique pickup market has started to gain some traction, DiMarzio decided to step it up and show the world that they can deliver pickups just as good and at better prices, all made here in the United States. 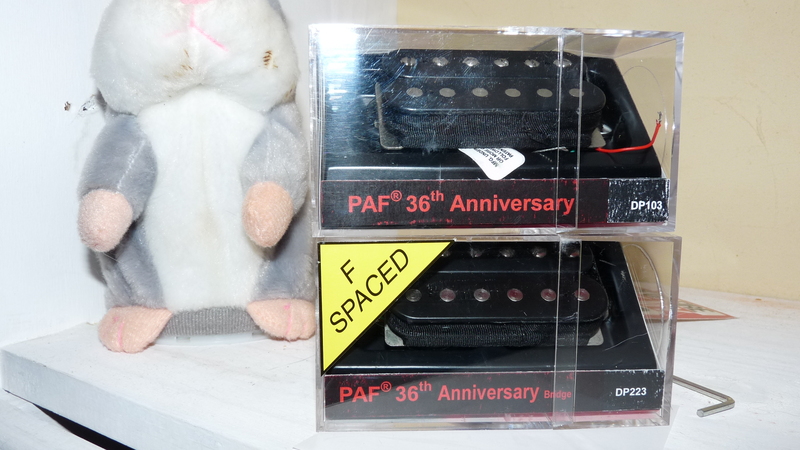 The Anniversary PAF is a great example of one of their best pickups for that lower to mid gain stuff. If you’ve ever played an older PAF, you’ll know what it sounds like. It’s a lower output pickup that really allows the guitar’s natural frequencies to soar through the amp. It’s not like the standard higher output pickups that so many people seem to add in their guitars. This pickup seems to really mate best with Gibsons, in my experience. I’ve found that it can be a bit bright if you install it in a strat and don’t have a tone knob. The pickup just oozes mojo, though. You can really hear that vowel-ish kind of character that is very prominent in this pickup. It’s also extremely dynamic, so if you pick lightly, you’ll be able to get a great clean tone; if you pick hard, you’ll get an amazing hard rock tone that’ll just completely coat the room in amazing tone. It’s pretty crazy how responsive this pickup is when you start fiddling around with the volume knob. Just be sure that your guitar isn’t too bright sounding already. The pickup has some treble in it, and it might not be too pleasing through the wrong amp. I have these installed in my Gibson R7, and they sound absolutely glorious. I highly recommend them for anyone who wants that vintage kind of tone, especially if you’re a fan of Eric Johnson, Gary Moore and so on. 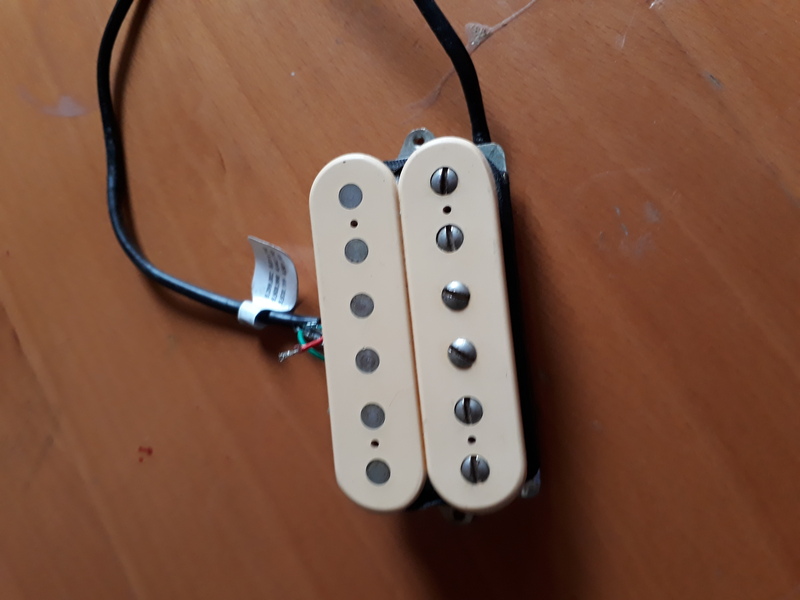 imarzio isnt really known for its vintage style pickups. Dimarzio has been making pickups forever and they are mostly known for their high gain and modern sounding pickups. They are used by people like Steve Vai and John Petrucci along with Joe Satriani. All these guys have a very modern sound and use decent amounts of gain. When most people are looking for a more vintage style pickup they may look towards Seymour Duncan or a boutique company. Dimarzio is looking to change that with this pickup. This is the 36th Anniversary PAF DP103. Everyone wants the PAF tone when they are looking at humbuckers. The PAF being the first humbucker means every humbucker nowadays has some PAF DNA in it. People pay tons of money for original PAF pickups even though they are like 50+ years old at this point and over time the tone can degrade from pickups. There are a ton of modern clones of PAF pickups but this Dimarzio is up there with some of the most boutique ones. This pickup is looking back towards the original. A decently low output PAF pickup like this one works well in just about any guitar. They have a low vintage level output but retain note to note clarity that you do not see often in low output pickups. Its easy for them to become muddy in tone when their output isnt cranked. I only tired this pickup in the neck position so I was mostly using it for cleans and lead tones. The lead tones from this pickup are excellent. 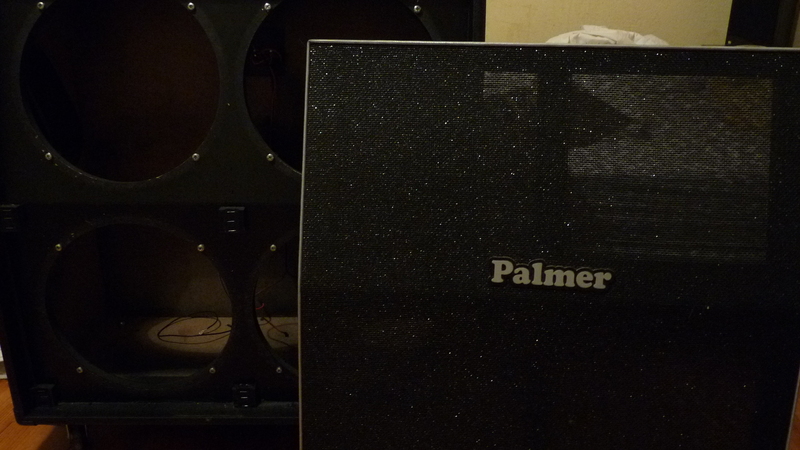 The output is pretty low so the sound is not harsh at all and the clarity is great so you can still hear everything. With the lower output you can really play with your pick dynamics and it comes through really well. A high output pickup would just be brickwalled the whole time. If you are looking for a good modern PAF that retains more of the vintage vibe this Dimarzio should be something you look at. James...'s review"The closest you are going to get in this price range"
It's no secret that the most chased after pickup design is a perfect 59 PAF replica. It's considered the holy grail of humbuckers. Dozens of high end boutique winders have their clones of them. Everyone swears they have the most accurate one, whether they charge $100 or $500 for them. In the past it's been a consensus of mine and a few other people that the only way to get a good PAF clone was to shell out $300+ bucks for a hand wound set using original materials. When Dimarzio came out with these I was very very skeptical. I've used dimarzio's with success before, but that was in high gain applications. I've never looked at them as being a good provider of low gain pickups, or even very high quality pickups. Just an okay manufacturer. However, my friend told me I needed to try these. He said they were the real deal, so I figured it couldn't hurt to put them in my Les Paul standard. I found out later that Larry Dimarzio did some pretty heavy research to make these. He actually simulated the aging of the magnets. On top of that he made sure the materials were all correct and the winding was done right. It makes sense because well...they sound spot on. I've played a lot of high end PAF clones and these are right up there. They just have that tone. Creamy, sweet, mid gain PAF tone. They are well balanced and clean up great. The cleans in the neck are ace. The bridge roars like a PAF should. You really need to try these in a Les Paul to get the full effect. They were made for that function and they thrive in one. The value is tremendous. They have the boutique tone for a third of the price. 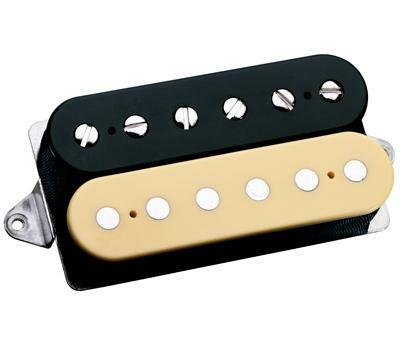 DiMarzio introduces the 36th Anniversary PAF, a redesigned version of the brand's famous vintage-sounding humbucker.